Sun Haven Valley is a families and couples holiday park site with no bar, no club and a no noise from 10.30pm policy. Set in the countryside midway between St Mawgan & Mawgan Porth both the village and the beach are a 15 minute woodland walk away. There is a childrens playground, small shop, TV room and small games room on site. 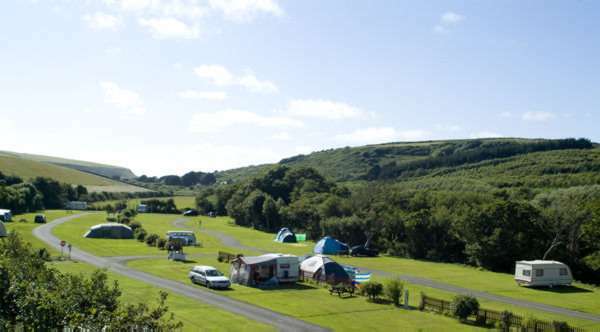 The camping facilites, including heated showers and laundrette are available for use by all guests during season. We have 34 caravans, with a wide range of different features, including central heating, private terraces, and luxury décor.